Over 20 recipes to make decadent and guilt free baked doughnuts, all from healthy, whole food ingredients. All gluten free, dairy free, and mostly grain free with a few nut free options as well! From marshmallow topped s’mores doughnuts with graham cracker crumbles to light elegant lemon lavender, to a giant black forest doughnut tower with whipped cream and chocolate sauce…. it’s all in there for you! This book is absolutely amazing! I wish I had all the ingredients needed (not easy to find some basic ones in Ukraine) :). You can sub lots of them out! Ask if you have any questions! I loooove this book!! The donuts are amazing and I’m so happy to have a healthier option! And I’ve found most of the ingredients at Trader Joe’s! Thanks for sharing your genius with the world!! 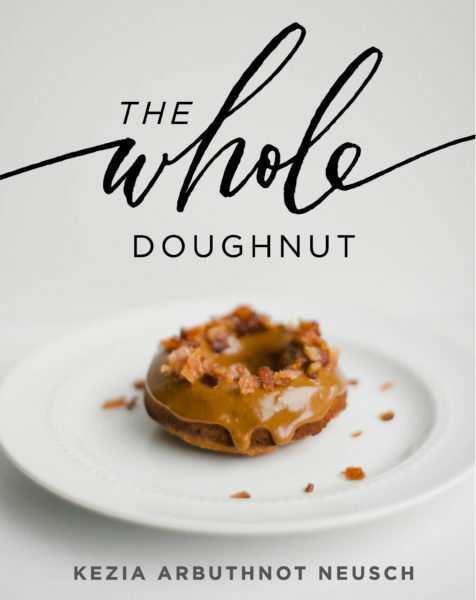 I’ve had this ebook for only a week and have already made 4 different doughnut recipes to share! So easy and real tasty. Thanks for sharing your wisdom, Kezia! So glad you’re enjoying it! !